I’ve been wanting to put this list together for a very long time because I love giving and receiving small but fabulous gifts, and think that it’s very important to get it just right when it comes to finding that perfect present for someone special. 1. 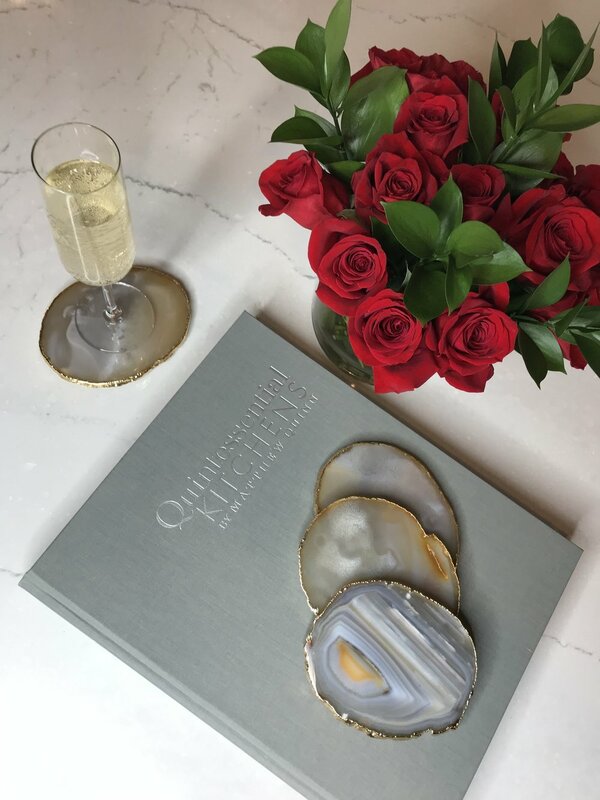 There’s no better gift than a good book and if I can recommend only one book out of hundreds home and design books I own - it would have to be Quintessential Kitchens by Matthew Quinn. There’s no other designer who masters the art of combining function & science with beauty, comfort and sophistication quite like Mr. Quinn, and in this book he shares 15 exquisite kitchens designed for his clients from around the globe. Beautiful photography, helpful insights and Matthew’s refined sense of space make this book a must have for anyone that loves good design. 2. Natural agate coasters with gold plated edges from Mitchell Gold + Bob Williams. They are GORGEOUS, can be used as decor pieces and are perfect for anyone that loves to entertain. 3. Privet Bloom home fragrance collection by Hampton Sun ... they offer only one signature scent and it’s glorious! 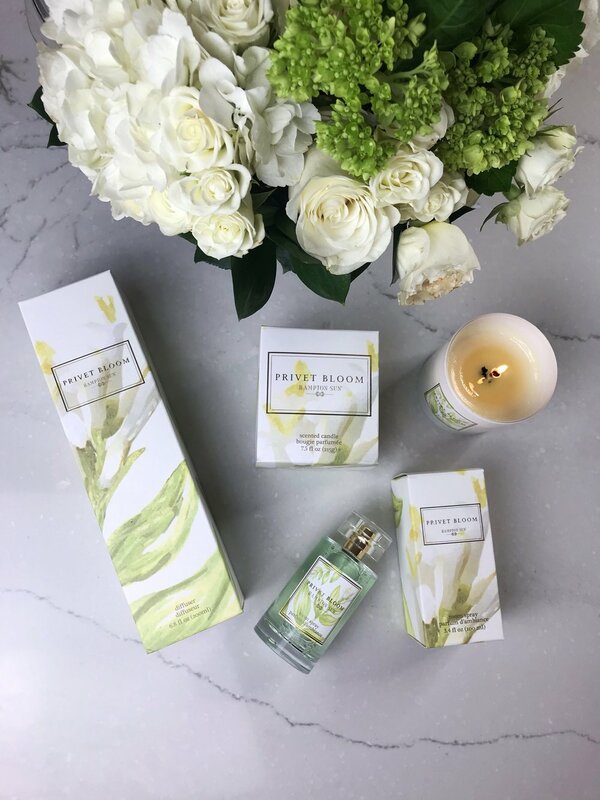 Privet Bloom captures the essence of a gorgeous summer day in the Hamptons with its fresh, unexpected and delicate fragrance unlike anything else out there. Crisp, elegant, with top notes of Lilly of the Valley, Jasmine and White Hyacinth - your friends & family will thank you for introducing them to this fresh and captivating fragrance. 4. Anything from Zara Home. Zara Home is huge in Europe but we aren’t so lucky to have their beautiful stores here in the states. Not everyone knows that everything available on their website can be shipped anywhere (and they often offer free shipping). From candles, to loungewear, to home accessories - and in typical Zara fashion everything is chic, cool and affordable! 5. Sugarfina gift sets. Why? Three words: champagne gummy bears! + beautiful packaging, unusual international flavors and always so much fun! Impress your guests and add a little bling to your powder room. You can find this beautiful faucet on brizo.com. Have an item you think we should know about? Email us at info@therealhouses.com and let us know. Today I'm sharing 5 important kitchen design elements that I often see as missed opportunities in kitchen design. Most kitchen designers know about these tricks but if you're planning on designing your kitchen without the help of a professional designer - I recommend paying attention to these 5 important design details in the planning stages of your project. 1. I always recommend taking wall cabinets all the way up to the ceiling with taller cabinets and/or moldings! This will give you more storage, will often help you hide duct work and water/gas pipes instead of having a soffit, and give your kitchen that custom floor-to-ceiling built-in look. 2. Consider using under-cabinet electrical strips instead of wall outlets. With so many spectacular kitchen backsplash options available today, I can't imagine covering beautiful backsplash with unsightly outlets! These strips give you a lot more outlets and are fully approved by the national electric code when properly installed by a licensed electrician. 3. Counter-depth or built-in refrigerator. I understand that they aren't as deep as standard refrigerators and give you less storage space, but there is nothing that stands out more as a design flaw than a refrigerator that sticks out of your cabinets by six inches. If you do have a big family and a standard counter-depth refrigerator isn't going to work because of the limited cu.ft. capacity - consider going with a built-in refrigerator, those are usually wider and taller to make up for the lost inches in depth. 4. End panels on all wall and base cabinets and most importantly on the island. End panels are often overlooked by homeowners simply because they are unaware that they are even an option. Yes, they cost a little more but they are paramount to achieving the look of a custom kitchen. 5. If you're using a range as opposed to a cooktop - consider using a slide-in range with control panel in front of the unit. This will give that expensive, build-in look and won't cover your beautiful backsplash. You can get this style in both gas and electric.